Oxford do the double over playoff chasing Concord in this rather dour affair at the Aspect Arena. 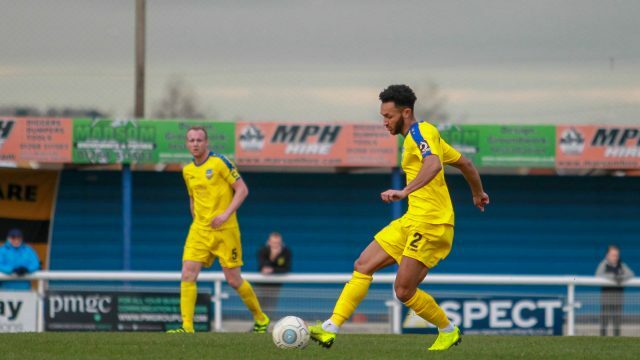 The Beachboys will be left ruing missed chances as they allowed City to take the points with Brandon Thomas-Asante notching the winner midway through the second half. The hosts started the sharper and came close to the opener through Danny Green. A well placed free kick drew a top save from Craig King. Oxford marksmen Kabongo Tshimanga and Thomas-Asante looked a vague threat on occasions with their pace and power evident. Joan Luque was industrious in his efforts in the first half seeing a low shot saved but it was a differing tone in the second period. City took the lead, a gift of possession led to a squared ball finding Thomas-Asante, who spun on his heels and tucking home low with relative ease. The Beachboys didn’t look to have enough in the tank to turn it around but did come close as Sam Blackman struck a powerful effort which King did well to turn round the post.